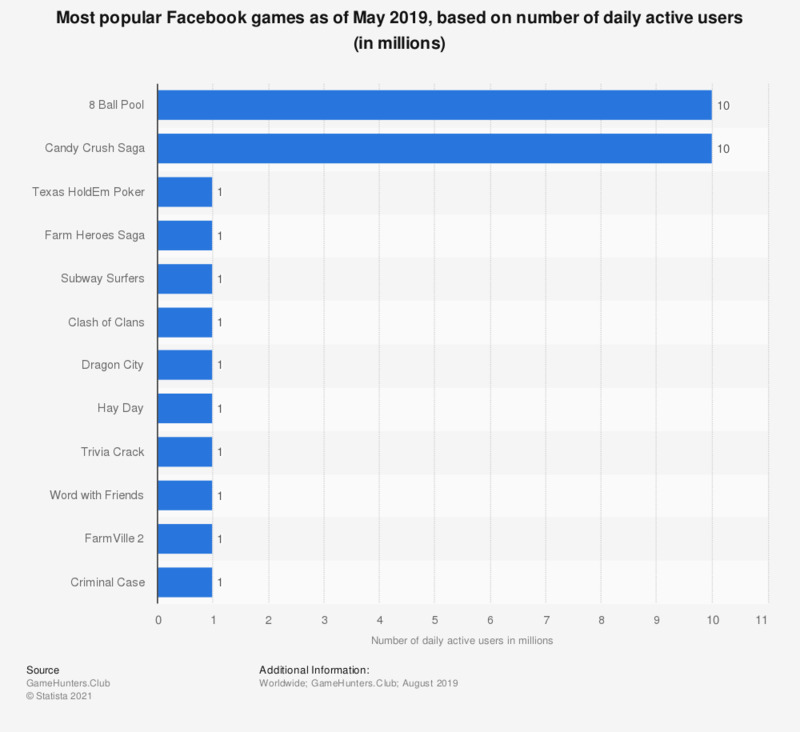 The statistic shows the ten most played social games on Facebook as of April 2019, measured by daily active users. In that month Candy Crush Saga, produced by game developer King, had an average of approximately ten million daily active users on Facebook. In the same period, Candy Crush Saga was the leader on Facebook based on monthly active users as well. Clash of Clans, developed by Supercell, ranked second in terms of MAU but it was second on the list of games used daily. Values were rounded to allow a better understanding of the statistic. All values are estimates.